Its been a week since we competed and I have finally worked out how to use Drop Box and downloaded the photos. Thanks heaps Jonny we got some really good photos and here is a small selection. Photo of the day! Thanks Jonny this is a great shot. Where every fight starts - standing up. But they normally end up down on the ground and when they do an aggressive application of the principles of Kosen Judo is a great recipe for success. A nice kesa gatame (scarf hold). Another nice example of ground control. Jordan and Ben feeling happy! 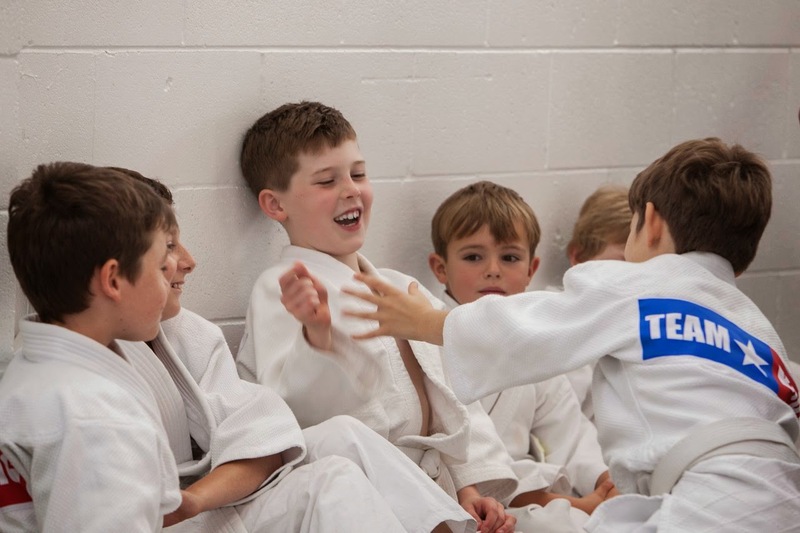 More important our kids having a great time doing Judo! 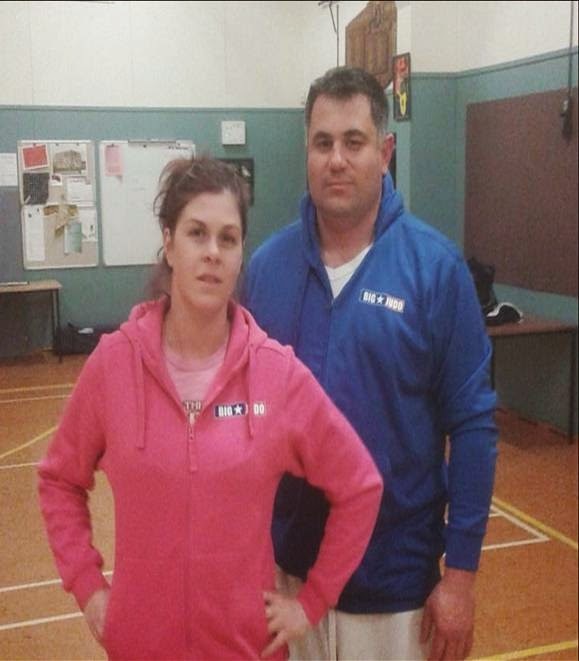 Ben and Tracey modelling the new Big Judo hoodies. Very fashionable in either pink or blue. Warm too. Want one? Then talk to Ben, Tracey or Jordan or drop Lucy and email. 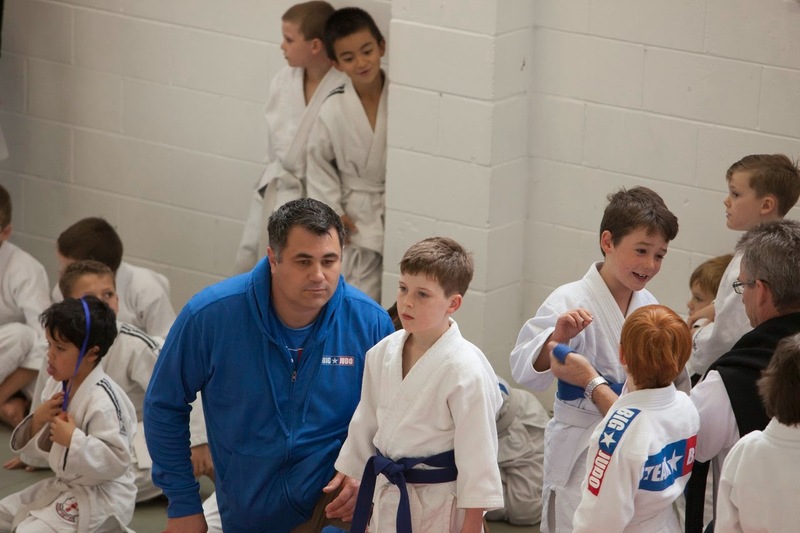 Big Judo team for the Judokwai kid's competition did team very well last weekend. We took eighteen kids to the contest and a huge group of very supporting parents, coaches and helpers. The contest was very exciting and Big Judo took home a nice stash of medals (four golds, three silvers and seven bronzes). We are slowly gathering up photos and will be putting them up on the blog. Angus and Jami 'going hard' in the Under 24 kg category. Jamie winning by hold down with kesa gatame. All the coaches were really pleased that we are dominating the ground fighting. Our kids were transitioning from stand up to ground fighting really and escaping from ground holds. Teaching Rick's style of Kosen Judo this made us really proud. 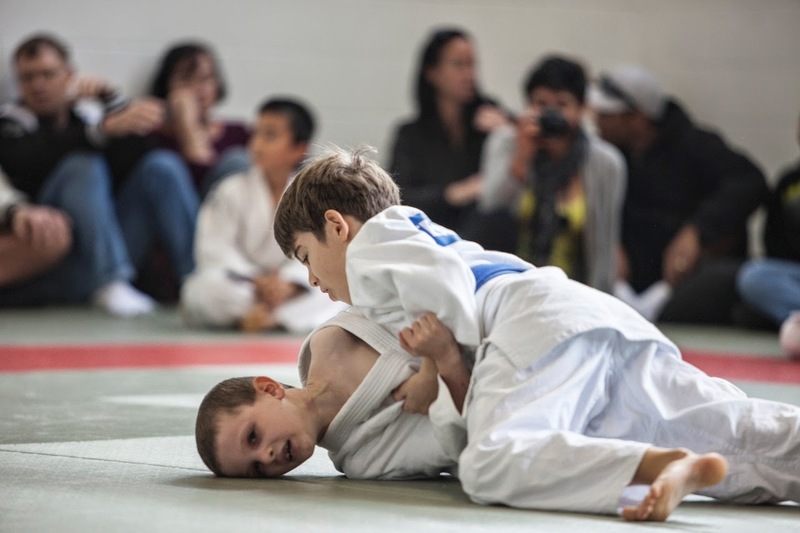 Although contest like this are mostly about providing a 'safe' and controlled environment for kids to test their Judo skills and learn some great lessons about themselves such as being courageous and sportsmanlike we still love it when they win. The two boys on the left are Zac and Jamie from Big - with their medals. 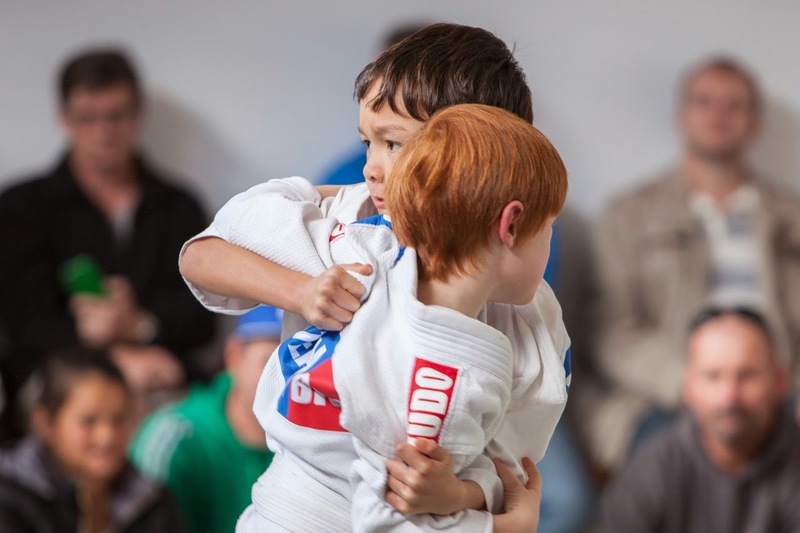 Traditionally, Judo teams have often worn badges in contest. In old Japan foot soldier's wore their lord's mon (a logo similar to a European coat of arms) into battle and the tradition continues with Japanese Judo teams using a variety of badges. 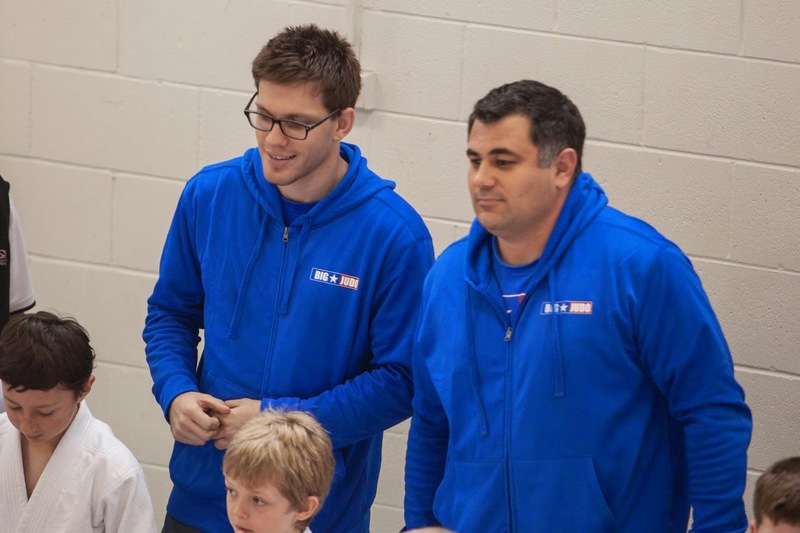 This year we started our own Big Judo tradition with our 'Team Big' patch. 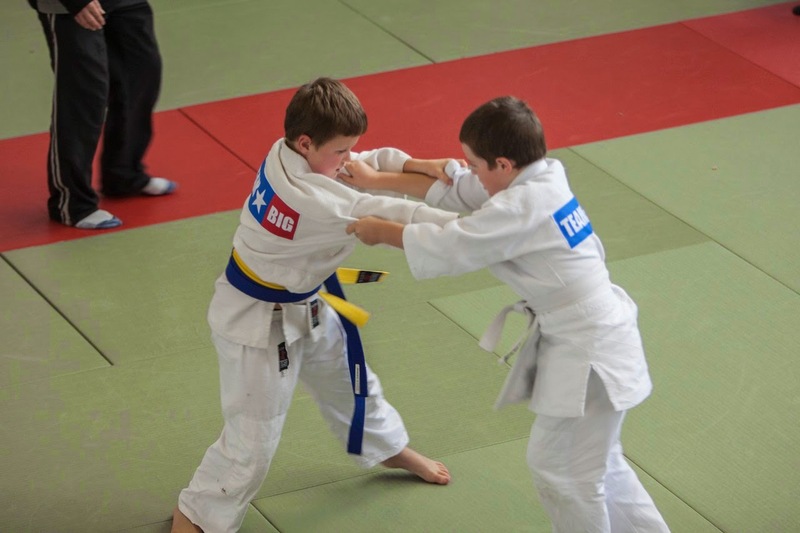 The 'Team Big' competition badge is only given to students that demonstrate Big's three core values (working hard at their Judo, being brave and looking after their classmates) and who are ready to represent us in competition. All traditions start somewhere and hopefully in 100 years people will be able to look at this post and see where the 'Team Big' badge started.